So you want to go on a trip, but your schedule just doesn’t line up with your BFF or significant other's. Have you ever considered going at it alone? Whether by choice or not, solo travel can be a liberating experience that every woman should try at least once in her lifetime. 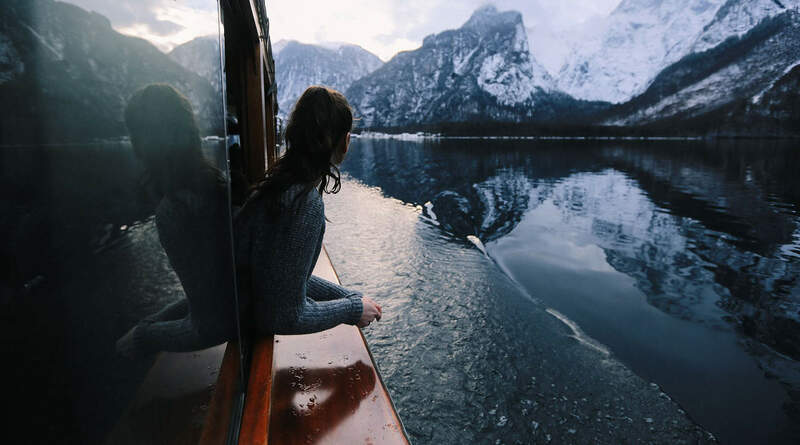 Not only does it take you out of your comfort zone, traveling alone can also allow you the opportunity to connect with yourself and discover just how strong and capable you are. Taking a trip on your own can come with a slew of benefits. One of the most obvious perks is the freedom to create your own schedule. Be you own compass, focus on your interests, and do what makes you happy. "This focus on your own needs and desires—and on liking yourself and being with yourself—rather than focusing on what someone else needs, will positively impact your mental health and well-being," says Terri Orbuch, author of Finding Love Again and a professor at Oakland University in Michigan. You’ll feel empowered by navigating a new city with a language you may not understand and people you don’t know, says Brandy Engler, a Los Angeles-based therapist and author of The Women on my Couch. This is a huge accomplishment, and can fill you with a sense of pride and self confidence. You'll also experience self-expansion, she adds, since when we travel, we learn. “We go to museums, learn about cultures and new perspectives on life—all of which we take in and it expands our sense of self." Spending quality time alone can also be a way of practicing self-care. We tend to prioritize friends and family, work, and home life before we turn to ourselves. Taking a break from our responsibilities, roles, and the people who depend on you will give you the time to breathe and slow down, which can be good for your mental health. To allow your body to relax and recharge, Orbuch recommends activities like hiking, biking, yoga, immersing yourself in nature, and taking walks along the beach. These activities can help encourage self-reflection and allow you to reset your priorities so you can "discover what parts of self you need to focus on or highlight when you return," Orbuch says. While the thought of mapping out an entire travel itinerary alone can be overwhelming, many women get hung up on the idea that solo travel is dangerous and complicated. While it's important to take safety precautions, many women travel safely each year without incident. The U.S. Department of State recommends knowing the location of your closest embassy or consulate, creating boundaries by being cautious when sharing information about your plans with strangers, and being aware of your surroundings, whether it’s staying smart about where you walk at night or paying attention to the local customs and laws. Still, seasoned solo travelers such as Kelly Lewis, founder of the Go! Girl Guides travel guidebooks, encourages women to embrace their independence and not fear the unknown. "It’s important to remember that people are generally warm, helpful, and not out to get you, but listen to your instincts if you feel unsafe and ask for help," Lewis tells us. Since women can have a unique set of concerns when it comes to health and safety while traveling, Lewis and her team share some guidelines and safety tips for flying solo. Drink, but don’t get drunk. Enjoy yourself and live your best life, but keep your wits about you, especially when out at night alone. Avoid beaches at night. They are almost never patrolled, even in the United States. Come up with a game plan for your first night. While it’s fun to be spontaneous, it’s a good idea to know where you’re heading and where you’re going to sleep once arriving in a new city. Don’t let the cab driver force you to sit up front. "At worst, you're at arms reach, and at best, they'll stare at you more," says Lewis. If you’re uncomfortable or dealing with a driver who insists you ride shotgun, get out and hail another cab. Walk with purpose. If you take a wrong turn and feel unsafe in a particular neighborhood, walk purposefully towards a business or hotel to ask for directions. When in trouble, look to the nearest woman. There is a sense of camaraderie, and more times than not, local women or other traveling females will have your back. "I once very narrowly avoided being left in the bathroom at a bus station in Bolivia, with all of my belongings still on the bus, thanks to the local woman who was sitting next to me who alerted the driver," recalls Lewis. With a little bit of preparation, few places should be off-limits. However, if you aren't quite ready to veer off the beaten path on your first solo trip, there are many cities that experience heavier tourist traffic. Here are a few international destinations that are great for globetrotting women. Reykjavik: If you've been on Instagram in the last year, it's no secret that Iceland—home of geothermal energy, double rainbows, and the Northern lights—has become one of the most visited destinations in the world. Americans are still flocking to Reykjavik, especially since the city has seen huge demand in flights, a whopping 120% increase just last summer, according to Expedia's flight data. Hike the glaciers, take in nature (scenes peppered with Icelandic ponies), and don’t miss a soak in a natural hot spring for total vacation bliss. Lisbon: Portugal has also been having a moment, with a 35% increase in flights booked to Lisbon at the beginning of 2018 in comparison to the previous year. A picturesque, colorful town with plenty of al fresco dining, affordable eats, cobbled streets, and palaces (plus a castle! ), Lisbon is nestled next to the river Tagus for and is famous for its stunning views. Locals are super friendly, so be prepared to make a few friends while you're there. Singapore: This city is fast becoming one of the most popular destinations in Asia. A melting pot of cultures, Singapore is a foodie’s dream, from amazing street fare to Michelin-starred fine dining. The concrete jungle's skyline is also giving way to more green buildings that resemble living ecosystems; take a break from the bustle and visit the Singapore Botanic Gardens, an Unesco World Heritage site, for a bit of quiet and time to reflect.